I've been on an extended break from this blog (and pretty much everything I do in the way of creating my own new content) not by choice but because I've been very busy in my Animation Business. I'm certainly not complaining about that but, for me at least, there does come a point in creating animations for clients where all my energy has to go into getting the best result for my client - even if it means cutting back on everything else I do. Fortunately the work has eased up a little and I feel I can get back into, what I hope will be, regular weekly posts to this blog again. I thought I'd begin with a post about what's coming up that I would like to blog about as well as an update on projects I started but have yet to complete. Serif DrawPlus X5 - Vector drawing and animation. Serif MoviePlus X6 - Video Editing. I've also mentioned Crazy Talk Animator Pro as software I use quite often but have yet to review it. As well I've been playing around with Xtranormal's State Software (now known as Xtranormal Desktop), the downloadable version of their online 3D animation software - which I think is well worth a look. 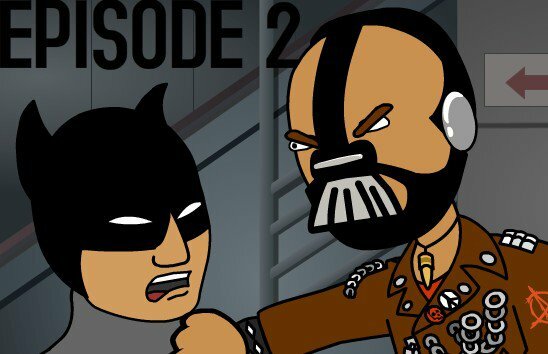 The major project that I announced (and thought I'd be releasing the first part of by now, if not part 2) was episode 2 of my GoAnimate series, Bat Storm. Unfortunately, after writing the script for part 1 and starting to animate the opening scenes, everything went on hold. I do hope to get back to it though and, at the very least, release the first part before the end of the year. Previously in this blog I started a project to animate some of my own office people characters with Crazy Talk Animator. The project stalled because I've really had a difficult time learning the software. Particularly when it comes to creating vector art characters in Crazy Talk because the process isn't quite as simple as photographic, cut out style characters. However after studying many tutorials I think I know enough to continue in the near future. As part of a job for client I started to animate a rejected Owl character in Koolmoves for my own interest - and because I thought the rejected Owl looked better than the one the client went with. The character will eventually become available for the community on GoAnimate once I give it a few more actions. Presently he can stand and talk to camera. 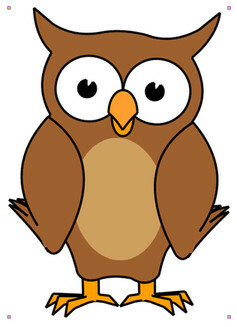 I previewed the owl on my Facebook page but you can see him in the image above. The only other animation I've made public (beyond business animations) is this animated short (below) I created of my Frog Van to introduce the first of my video updates on how the project was progressing. It was created with Crazy Talk Animator Pro. The background is my actual house where the real van is parked and yes, that's me doing the voice of the van. Some time in the future I'm going to put together an animated web series that features myself, the Frog van, my dog, Oscar, and maybe even my partner Enigma (if I can talk her into being involved). The series will be of our animated adventures (not necessarily taken from our real lives but at least inspired by them). I'm sure it sounds a bit egotistical to create a series based on myself but they do say you should create stories about what you know... and it's sure easier to voice myself than to have to find people to do voices for me. However that's a fair way off yet. I think I'll leave it here for now, suffice to say I have a number of GoAnimations in various states of being worked on that may or may not also make an appearance in this blog if and when I finish them. So... there's lots to look forward too. PS Just got Koolmoves, see my comment on your tutorial blog here. I was actually thinking something along the lines of Scooby Doo cartoons but perhaps with a Time Travel element (which is actually the basis for the original version of my Extraordinary Tourist character) and more just adventures than mystery solving. There might also be an extended cast of other characters too such as some of the other dogs Oscar plays with etc. Anything's possible. Good to see you're back. I've been missing your posts. But gratefully it was for a great reason! Thanks Gipsy. It's been disappointing for me not having the time to post. Especially having made that Top 100 list. I do enjoy writing this blog so I hope I can get back to posting more often. How did I miss you making the Top 100 list? What list? Love the Frog Van. You making a series using yourself is a brilliant idea. Glad I stopped by this was a nice post to find out what you've been up to.